***We do offer payment plans, as well as partial scholarships. *** To set one up, please contact Siobhan at director@heartandbeatmusic.com. Family Rate: Babies 8 months and younger by the first day of class (for spring that is March 31st, 2019) are FREE when an older sibling registers, and be sure to include your baby in your registration. Siblings 4 years and older (as of March 31st, 2019) also come FREE. As noted above, there is a one-time $10 fee for all families new to Heart & Beat Music. 1.) Weekly 45-minute classes teaching a new song collection every session — nine collections rotated over three years. Each class includes songs, rhythmic chants, movement, and instrument play. These activities are presented as informal, non-performance-oriented musical experiences that are developmentally appropriate for children and easy for parents and caregivers, regardless of their own musical abilities. (The summer session runs 6 weeks). Our summer song collection features a "Best Of" from the nine Music Together® collections. 2.) New families receive the booklet "Music and Your Child: A Guide for Parents and Caregivers." 3.) New, professionally recorded CD and online album download to transfer music to your devices with access to special portal for enrolled families. 4.) Newly designed songbook with colored illustrations, notes and chords to the songs, many graphics, and lots of activity ideas to help you enjoy every song at home. 5.) Enrolled families will receive a code to access Music Together's Family Music Zone as well as streaming music through our app, Hello Everybody!. There, you'll be able to download the songs from the current song collection to any of your devices, stream music, and explore fun content created just for you. 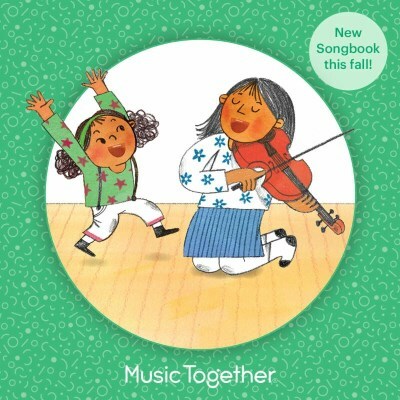 To access the Family Music Zone and the app, parents will create an account at www.musictogether.com/account using the code found on the inside cover of your songbook. 6.) Parent education and support in and beyond class to help adults understand and enhance their child's music development.